Indian Grove Farm is located in Surry County among the Chestnut Ridges in an area called the Indian Grove Community. Originally this was one of the first settlements in Surry County and was called Indian Graves. In the very early days Native Americans lived in the area along a stream located on our farm and established a burial site not far from the farm. This is why the settlement was first named Indian Graves but was later changed to Indian Grove. Legend has it there is an Indian princess buried in the burial site. Kenny’s great grandfather, Robert “Rob” Johnson farmed tobacco on the land for many years along with wheat and of course, a vegetable garden. 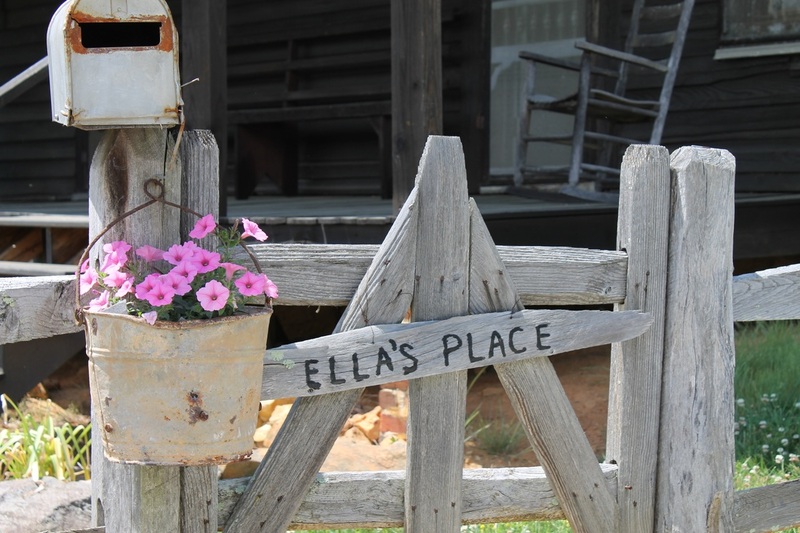 The house where Rob and his family lived is still standing on the property (Ella's Place) and is now a part of the farm’s logo. The house was originally a one room log cabin with a loft but later a kitchen, dining room and bedroom were added. When our current home was built on the property in 2007, the establishing of blueberry plants began right away. There are six fields located throughout the property with several different types of blueberries including pink lemonade. Also grown are blackberries, figs, and elderberries. The excitement of providing delicious fruit from the farm that will help make someone healthier and possibly live a longer life is the motivation behind the growing and development of the farm. Perhaps the Indian princess, who once lived on the farm, will send her blessings upon the fruit grown there. Kenny and Janice have always loved growing things and being outside with nature. Kenny started working in the tobacco fields owned by his grandfather and great grandfather when he was 12 years old. This helped promote his love of farming and understanding what it takes to be a good steward of the land. This love of growing things led him to earn a Horticulture Degree and pursue a career in the agricultural industry. Janice earned her Master Gardener credentials in 2003 and has always loved gardening, especially working with flowers.